UMP | University of Minnesota Press Blog: Modernism and the Memorial: Public remembrance in the US and Germany. Modernism and the Memorial: Public remembrance in the US and Germany. 2017 might turn out to be the year in which white Americans ceased to take Confederate monuments lightly; of course, their African-American neighbors never had. The erection of Maya Lin’s remarkable Vietnam War Memorial in Washington, DC, in 1982, inaugurated a memorial boom in the United States, which was only furthered by the rush to commemorate those who died on 9/11. Although many of the most admired memorials created during this period are dedicated to remembering the Holocaust, there has been little effort made to acknowledge the country’s own flaws, including the slavery Robert E. Lee and the army he led fought to defend. The situation, as every scholar of memory knows well, is radically different in the Federal Republic of Germany. Here the marking of the horrors perpetrated by the Third Reich are an important part of the public realm. The inverse of Richmond, Virginia’s Monument Avenue may be the cluster of memoryscapes in the center of Berlin. These include the Jewish Museum, opened in 2001, the Memorial to the Murdered Jews of Europe, dedicated in 2005, and the current Topography of Terror exhibition, completed in 2010. Moreover, the ubiquitous “stumbling blocks” Gunter Demnig has set into the pavements marking where Jews and other Nazi victims lived before being driven into exile or murdered inject memorialization into ordinary neighborhoods across the country. The contrasts with Americans, especially those living in former slave states (which include all of the original thirteen colonies), who can seldom identify exactly where slaves lived and worked, much less where they were bought and sold. Public remembrance was not always any easier in Germany. Its path may have been smoothed by the fact that many of the strategies employed in the early twenty-first century for marking absence, including the juxtaposition of fragments of old and new architecture that occurs at the Reichstag, the home of the lower house of the German parliament, as well as the Jewish Museum and the Topography of Terror, were already employed in the early years after the war. In these cases, the preservation of ruins created by aerial bombardment marked the suffering endured rather than inflicted by Germans. Rather than being uniquely postmodern approaches to understanding the complexity of the city as palimpsest, these juxtapositions began as ways to ensure that remnants of late nineteenth-century churches, many of them strongly associated with Wilhelmine nationalism, would continue to stand. Building new structures alongside them that referenced the utopian aspirations many architects had had in the 1910s and '20s proved an acceptable compromise. 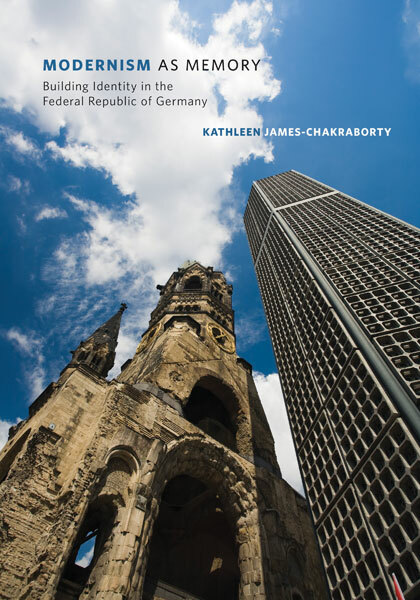 This was most famously the case with the Kaiser Wilhelm Memorial Church, whose ruined tower and reconstructed sanctuary became, in the wake of the creation of the Berlin Wall in 1961, West Berlin’s most widely recognized symbol. Paradoxes abound. In these circumstances, the old is almost never as old as it appears, nor the new as new. Reassuring markers of permanence that reference medieval and classical grandeur had almost always been erected within the lifetimes of many of those who after the wall fought for their preservation. The Memorial Church, for instance, was completed only in 1906, less than four decades before it was shattered by allied bombs in 1943. At the same time, what appears new, whether the Memorial Church dedicated in 1961 or the dome completed atop the Reichstag in 1999, was almost always profoundly historicist. These largely glazed structures referenced Expressionist architecture built or simply imagined across the course of the 1910s and twenties. Both nineteenth-century historicism and the modernism that replaced it are thus profoundly symbolic in ways that only advocates of the first openly admitted. Meanwhile the expression of the new has remained remarkably consistent over the course now of a full century. None of these complexities, however, have marred the effectiveness of Germany’s many monuments to the Holocaust and other victims of state violence. Building admissions of responsibility for the failures of the past also facilitated the expansion of German democracy, not least in what had been East Berlin. Many Americans belong to families that arrived in the United States long after Appomattox, but, whether or not they live in a region still dotted with statues of solitary Confederate soldiers or in cities over which more ambitious figures of Lee and Stonewall Jackson on horseback once stood or continue to stand, almost all benefit from the myriad ways in which slaves built the country in which they settled. Nor is slavery the only instance of the United States failing to live up to the ideals enshrined in the Declaration of Independence and the Bill of Rights. The seizure of land from Native Americans and from Mexico, along with the internment of Japanese-Americans, merit mention as well. The challenge may not be to develop entirely new ways of recognizing past failures, but to find the slivers of our own past that are optimistic enough, without being unnecessarily alienating, to provide a basis for a meaningful atonement. Where might such precedents be found? One answer might be in the infrastructure, from the Blue Star Memorial highways and the Veterans Memorial auditoria and schools built across the country after World War II. Creative public arts projects might find ways to intertwine drawing attention to the past with building for the future. This is particularly apt considering the role that slaves played in creating roads and railroads in the first place. Another might develop out of the rich engagement with place that Lin herself encouraged when she drew inspiration from Adena and Hopewell mounds of her native Ohio. 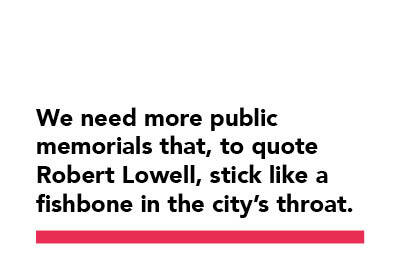 Perhaps something appropriately new/old can be layered atop the plinths that have been left behind in Baltimore, where they prevent forgetting what people once wanted to celebrate without continuing to join in that celebration. In any case to be effective, the means must emerge out of the local, just as, despite the plethora of foreign architects eventually involved, they did in Germany. We need more fishbones. Memorials to slavery exist, but in small numbers, and few attract more than local attention. The National Museum of African American History and Culture is an impressive step forward, but its exhibitions fittingly focus as much on achievement as enslavement. 1% of the entire population of the county in which I grew up in Maryland was sold over the course of just three years in New Orleans. Two counties to the south, Donald Rumsfeld owns Mount Misery, the farm that belonged to the man who tried to “break” Frederick Douglass, and a statue of a Confederate soldier still stands watch on the courthouse lawn. Counterweights more imaginative than simply swathing no longer welcome sculptures of Lee in black plastic, as is currently the case in Charlottesville, are needed. As the German example demonstrates, exposing its often less-than-ideal foundations reinforces rather than undermines democracy. Kathleen James-Chakraborty is professor of art history at University College Dublin. 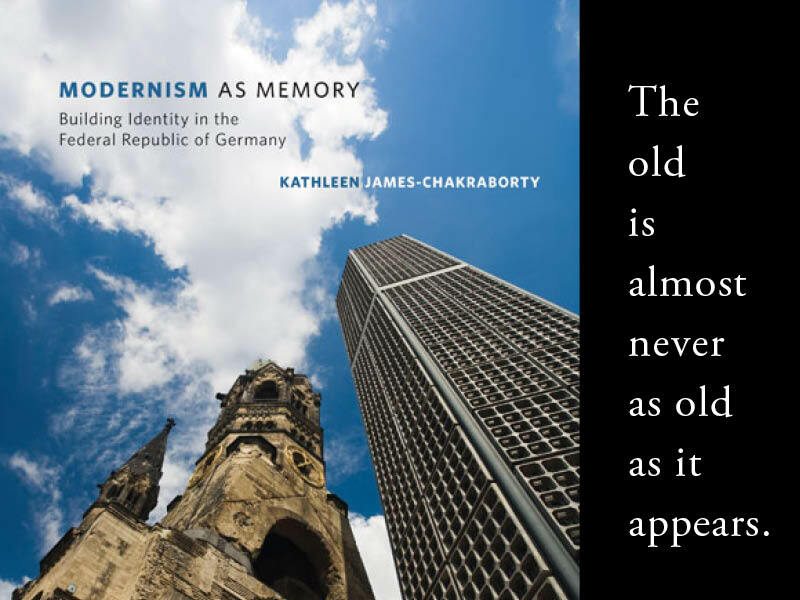 She is author of Modernism as Memory: Building Identity in the Federal Republic of Germany; Architecture since 1400; and Bauhaus Culture: From Weimar to the Cold War, all from Minnesota.